Microsoft provided on Friday more details about the Windows 8 OS upgrade program for consumers who buy Windows 7 PCs, clarifying certain dates, offer limits, and impact on the company's accounting. 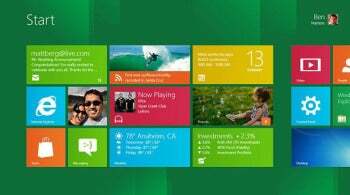 The Windows 8 operating system is in its final stages of development and may ship toward the end of this year. But Microsoft doesn't want consumers to hold off on purchasing Windows 7 PCs in the meantime. That's where the Windows Upgrade Offer comes in. Announced on Thursday along with the latest test version of Windows 8, the Windows Upgrade Offer will let buyers of Windows 7 PCs upgrade to Windows 8 Pro for US$14.99. Microsoft hasn't disclosed retail prices for shrink-wrapped, standalone versions of Windows 8, but the equivalent to Windows 8 Pro is Windows 7 Professional, which is priced at $199.99. To qualify for the discount, consumers must buy a new Windows 7 PC between June 2, 2012 and January 31, 2013. They will have until February 28, 2013, to download the Windows 8 Pro upgrade. The offer is available in 131 markets. The maximum number of new Windows 7 PCs a consumer can buy as part of the program is five. Windows 7 editions that qualify for the offer are Home Basic, Home Premium, Professional and Ultimate. That leaves out of this offer's scope Windows 7 Starter, which is the most basic for consumers, and Windows 7 Enterprise, which is designed for workplace PCs. However, customers don't need to apply the Windows 8 upgrade to the corresponding Windows 7 PC they bought during the offer period. If they have an older PC running, for example, Windows XP, they can opt to leave Windows 7 on the new PC and upgrade the old one to Windows 8 using the upgrade download. Microsoft hasn't given a specific date for shipping Windows 8, but the company said last week that if the testing and development process continues at its current pace, the OS should be available for this holiday shopping season. Microsoft has done similar programs to this one for previous Windows upgrades, but a change this time around is that the company will be in charge of the redemption process, meaning it will verify eligibility, handle payments, deliver the software and provide support. Previously, OEMs and other third parties were involved in the process. For its fourth fiscal quarter, which ends June 30, Microsoft plans to defer revenue recognition of between US$450 million and $550 million as part of the program. The revenue recognition deferral will not impact cash flows from operations, according to the company.